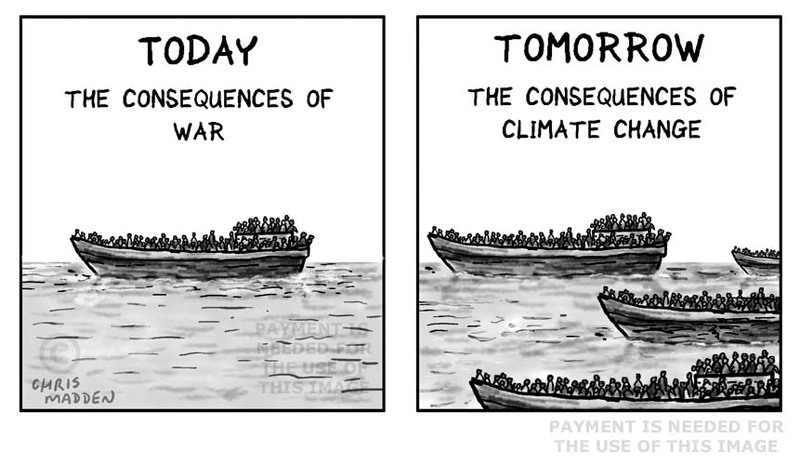 The effect of anthropogenic climate change on the developing world. 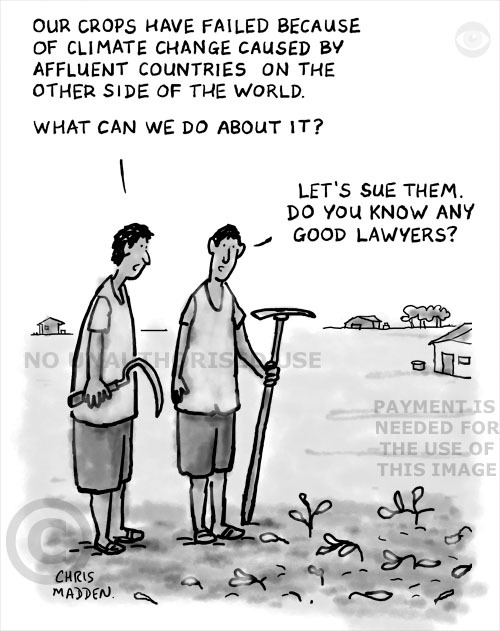 Subsistence farmers in the developing world being affected by global warming. 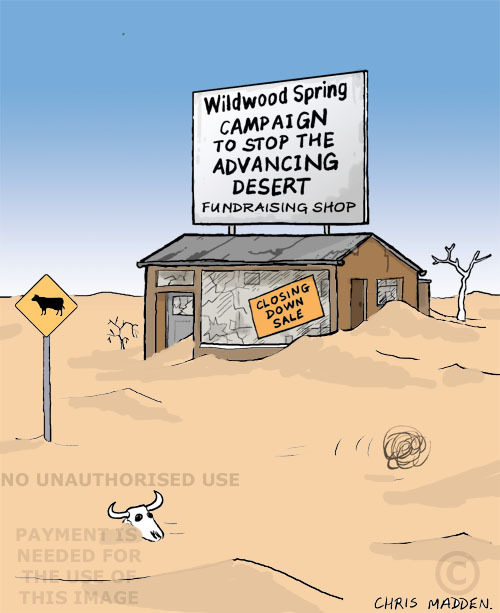 A cartoon about crop failure, famine, starvation, drought. The west being implicated in the suffering of the developing world. One of the farmers is saying “Do you know any good lawyers”, to highlight the farmers’ lack of access to power. The spread of deserts due to global warming and climate change. 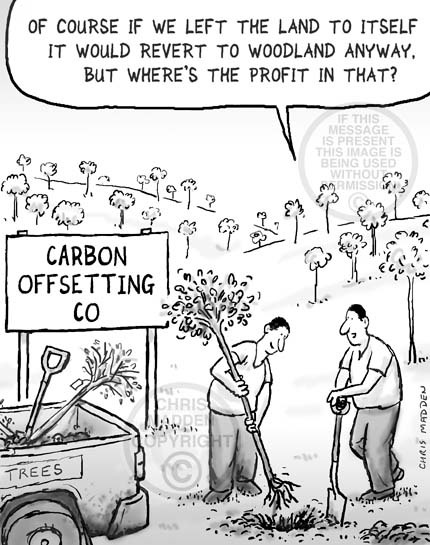 A carbon footprint cartoon from my selection of environment cartoons. A cartoon of a person with his head buried in the sand, hiding from the fact that global warming is affecting the environment. 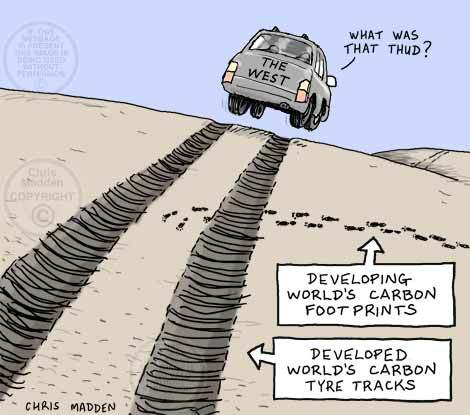 The cartoon shows parts of the world turning to desert as a result of climate change and unsustainable development. 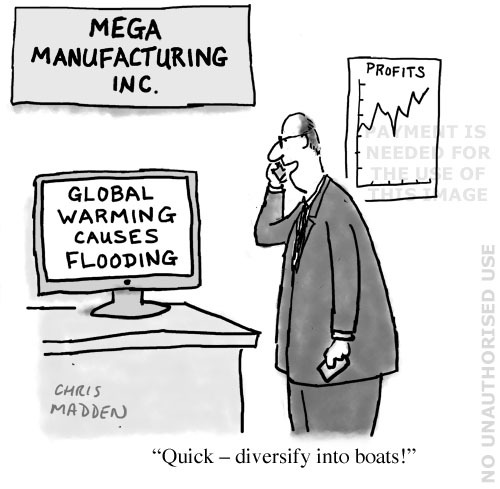 An environmental cartoon showing executives in a firm that manufactures refrigerators discussing global warming. 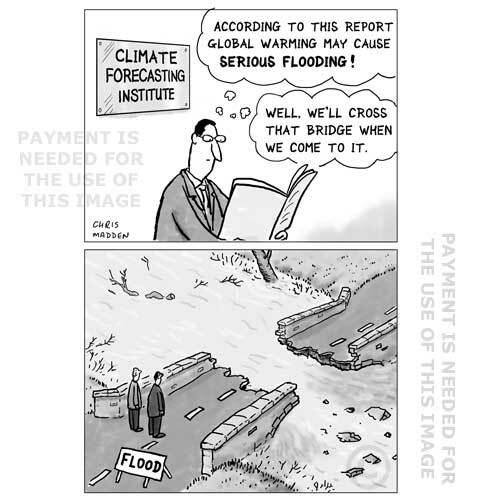 The point of this cartoon is that to some extent the creators of global warming will benefit from it. 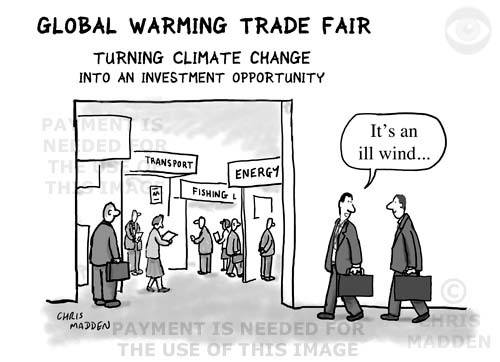 Maybe they even sponsor climate change denial research! The idea partly about the impact of population growth on climate change and global warming – the larger a family, the greater its carbon footprint. 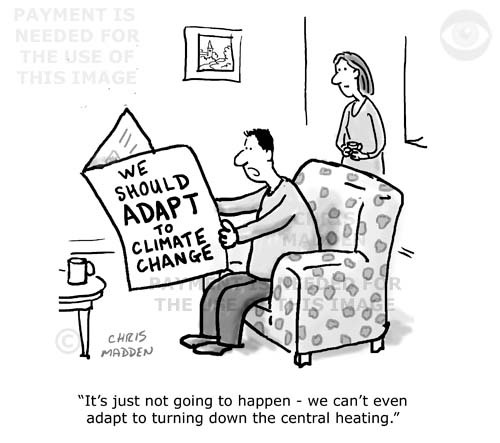 The cartoon is also about eco-housing, ecological buildings, environmentally sound architecture. This is a black and white version of this cartoon. This illustration of a polar bear and penguins marching against global warming (and the melting of the polar caps) is one of many images that I’ve produced dealing with environmental issues. You can see more by clicking the image. Global warming cartoon showing polar bear and penguins marching to protest against global warming and the shrinking ice caps. 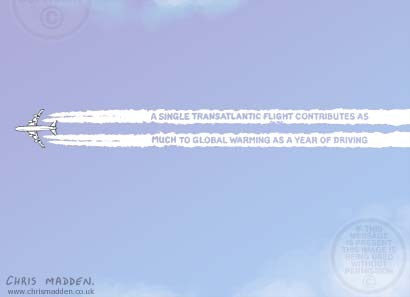 A cartoon about shrinking ice caps, shrinking polar caps, climate change, global warming. 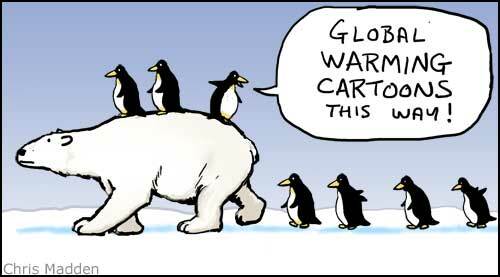 One of the humorous points about this cartoon is that polar bears and penguins live at opposite poles (penguins in the Antarctic and polar bears in the Arctic), and thus never meet in normal circumstances (apart from in cartoons). 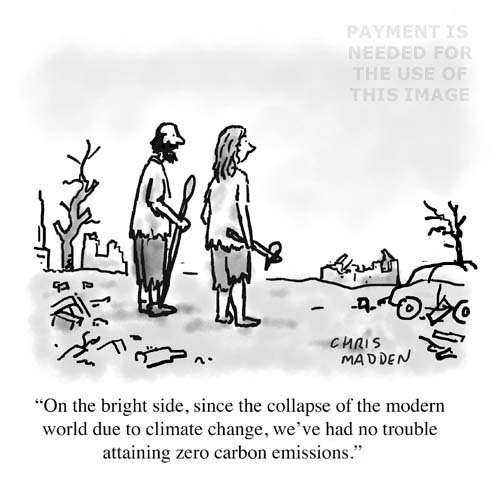 In this cartoon the fact that they are in the same cartoon is meant to convey the notion of solidarity and of the whole world mobilising to fight climate change. 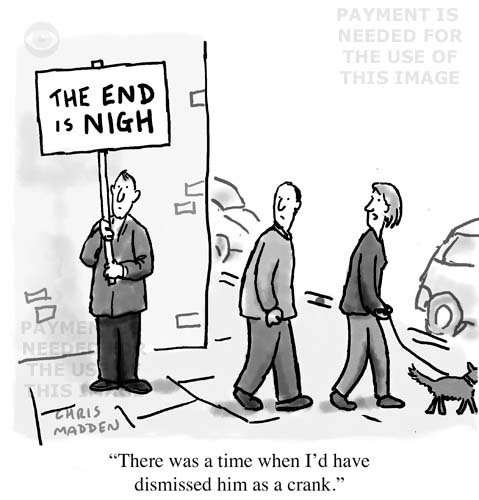 This cartoon can be used in this short version or a long version (in fact as long as you want – just add penguins). And either way round. The long version is show in the previous post. 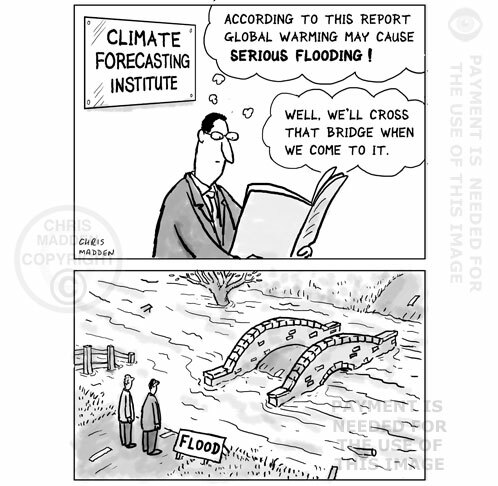 Environmental cartoon. 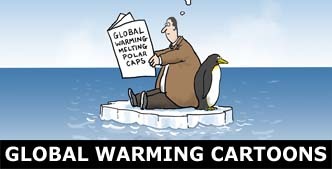 Global warming cartoon showing polar bear and penguins marching to protest against global warming and the shrinking ice caps. 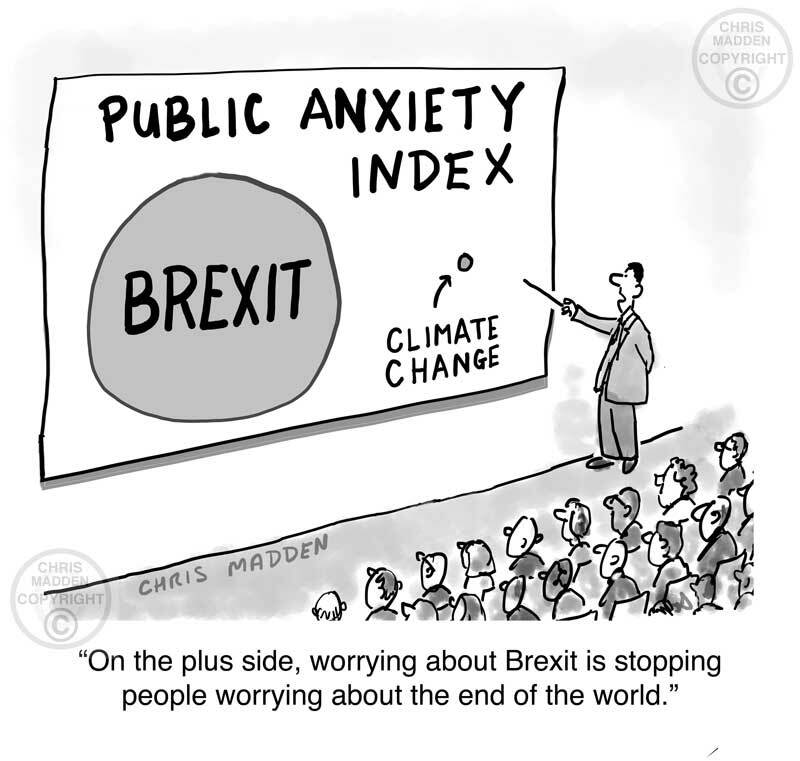 This cartoon can be used in a short version or a long version (in fact as long as you want – just add penguins). And either way round. The other version is show in the next post. 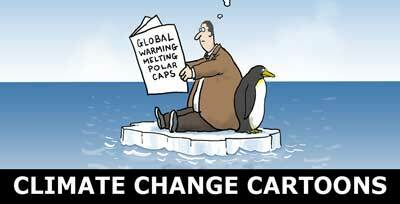 A cartoon depicting a person who is burying his head in the sand over climate change and global warming. The sand is the result of the advancing or spreading desert or desertification.